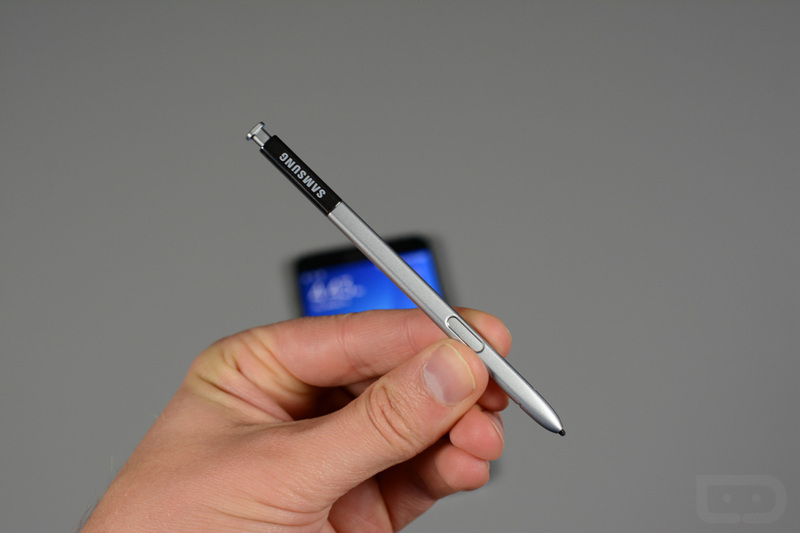 Does anyone here remember the mini controversy surrounding the S-Pen on the Galaxy Note 5? If not, allow me to refresh your apparently deteriorating memory. Almost one year ago today, we sent out a PSA, stating that you should never insert the S-Pen into your Galaxy Note 5 backwards. We weren’t saying this because we are OCD weirdos or anything, but in fact, doing so broke the mechanism the device uses to detect the S-Pen has either been inserted or removed. When it comes to utilizing S-Pen software properly, having a broken S-Pen detection mechanism is a massive deal. At first, no one knew who to blame. Do we blame Samsung for such a stupid design? I mean, how could Samsung not have the foresight to see this happening? Do we blame the user? It’s obvious that all consumers are dumb, right? That’s sarcasm, by the way. The way I saw it, this issue is entirely Samsung’s fault. Sure, people should be more careful, but being careful doesn’t stop a young child from accidentally sticking an S-Pen in backwards. What if it’s dark and you just so happen to insert it backwards? The point is, accidents do happen, but if sticking in the S-Pen backwards essentially destroys your device, this seems unacceptable. Shortly after all of this commotion, many YouTube videos were released, detailing how people could fix their Galaxy Note 5. However, they could only be fixed if you hadn’t already forcefully yanked the S-Pen from the phone. Sadly, I don’t think anyone waited around for these videos to be published before trying to pull it out. Funny enough, a single piece of paper, folded ever-so-perfectly was all that was needed for the correction operation. Today, with the launch of the Galaxy Note 7, you will be happy to know that Samsung has fixed the issue, and sticking in the S-Pen backwards is not possible. See, I told you it was Samsung’s fault. If you were one of the poor souls that got your S-Pen stuck inside of the Galaxy Note 5, please, share your story below and we promise not to point and laugh.